A scene from the short film Gridlock. 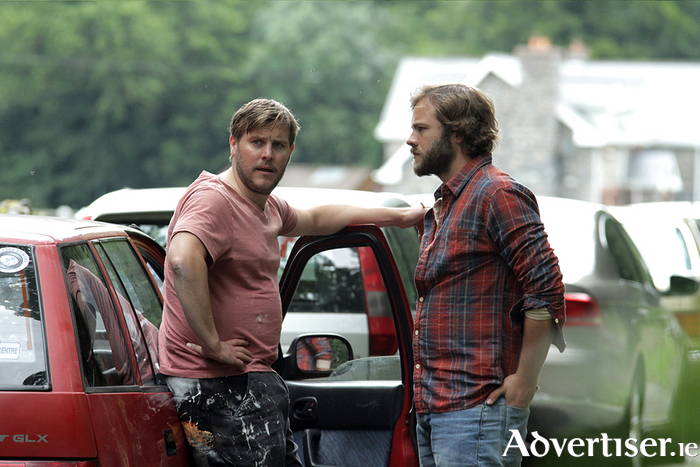 DIRECTORIAL DEBUTS from Killing Bono's Martin McCann, and films starring Love/Hate's Peter Coonan and The Stunning's Steve Wall, will be seen at the Galway Film Fleadh's short film programme. The short film programme, which runs from Wednesday July 6 to Sunday 10, will include 14 screenings, panel discussions, and networking events. Films screened here qualify for the Oscars. Among the highlights will be Gridlock, the directorial debut of producer Ian Hunt Duffy, starring Moe Dunford (Patrick’s Day ), Peter Coonan (Love/Hate ) and Steve Wall (Vikings ); STARZ made by Martin McCann and cinematographer Kevin Tracey (Made In Belfast ); and Fingerprints, with a script by 19-year-old Siobhan Duffy. There will be documentaries on Northern Irish collage artist Sean Hillen and internet sensations Fuppin Eejits; human rights documentaries; and a screening of the Irish Film Board's After ’16 programme, a collection of nine short films in a mixture of live action, animation, and documentary. Sunday’s Irish Animation Premieres programme will feature work by independent filmmakers, new filmmakers from the IADT National Film School and Ballyfermot College of Further Education, and will include world premieres. There will also be the Way Out West category, showcasing work by filmmakers from the west of Ireland and the '2016 Best Of’ showcase from Little Cinema Galway.